GLOVERSVILLE — Jessica D. Phillips, 26, of 39 West St., was taken into custody on an active bench warrant by city police on Feb. 8 at 1:01 p.m.
Phillips was identified as a passenger in a vehicle that was stopped by a member of the Fulton County Sheriff’s Department. 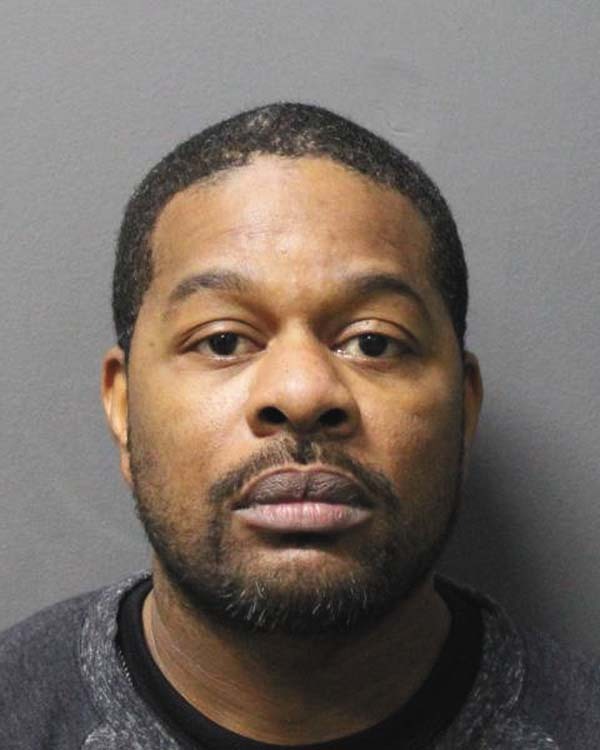 A check of Phillips’ drivers license revealed an active bench warrant signed in Gloversville City Court by Judge Traci DiMezza for failure to pay a fine related to an aggravated unlicensed operator charge and other vehicle and traffic infractions. Phillips was processed and held for arraignment. GLOVERSVILLE — Robert B. Adair, 34, of 9 Pearl St., was taken into custody on an active parole warrant by city police on Feb. 8 at 12:46 p.m. The warrant for Adair was issued by the state Division of Parole after he failed to meet the requirements of his parole. Adair turned himself in to the Gloversville Police Department. Adair was processed and turned over to the Fulton County Correctional Facility. GLOVERSVILLE — Simon Gill, 43, of 35 Orchard St., was charged with criminal mischief and criminal trespassing, both misdemeanors, by city police on Feb. 10 at 10:53 a.m.
Officers were dispatched to the report of a male who had broken into a city residence and was still inside the apartment. Once on scene, police located Gill inside the apartment and allege that he kicked open the door to the apartment, causing damage to the door frame. Additionally, police say that Gill was not an invited guest and refused to leave when he was told to do so. Gill was transported to the station where he was processed and held for arraignment. MINDEN — John P. Scalora, 45, of 1423, Newport Road, Poland was charged on Saturday by Montgomery County sheriff’s deputies on a bench warrant out of Minden Town Court for failure to appear. Scalora was arraigned in Minden Town Court and remanded to the Montgomery County Correctional Facility in lieu of $200 cash bail or $2,000 bail bond. He is scheduled to appear in court at a later date. AMSTERDAM — Angel L. Rosa, 29, of 3 Valley View Road, was charged on Sunday by Montgomery County sheriff’s deputies for unlawful possession of marijuana. Rosa was issued an appearance ticket for Amsterdam Town Court on March 14 at 6 p.m.
GLEN — Levi W. Cressy, 23, of 214 Lusso Road, Fultonville was charged on Sunday by Montgomery County sheriff’s deputies for driving with a blood-alcohol content of 0.08 percent or higher, driving while intoxicated, insufficient turn signal, failure to stop at a stop sign and move from lane unsafely. Cressy was transported to Montgomery County Sheriff’s Office where he was processed and later released with tickets to a sober third party. He is scheduled to appear in Glen Town Court for arraignment on Feb. 19 at 7 p.m.